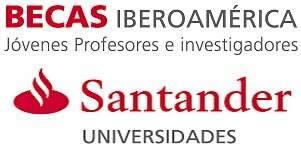 Art of the 1st Symposium on Bioinformatics. 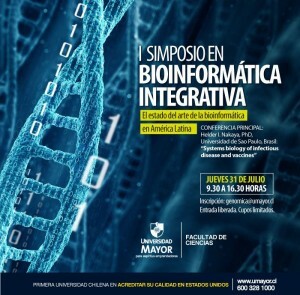 Our group is organized the 1st Symposium on Integrative Bioinformatics, with the aim of bringing together different names of the current Bioinformatics scenario in Chile. 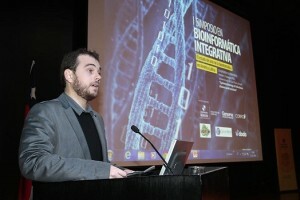 The event counted with more than 160 attendees and there we proposed the creation of the Chilean Bioinformatics Society. Vinicius giving a talk on the event. We are part of the Parallella University Program!